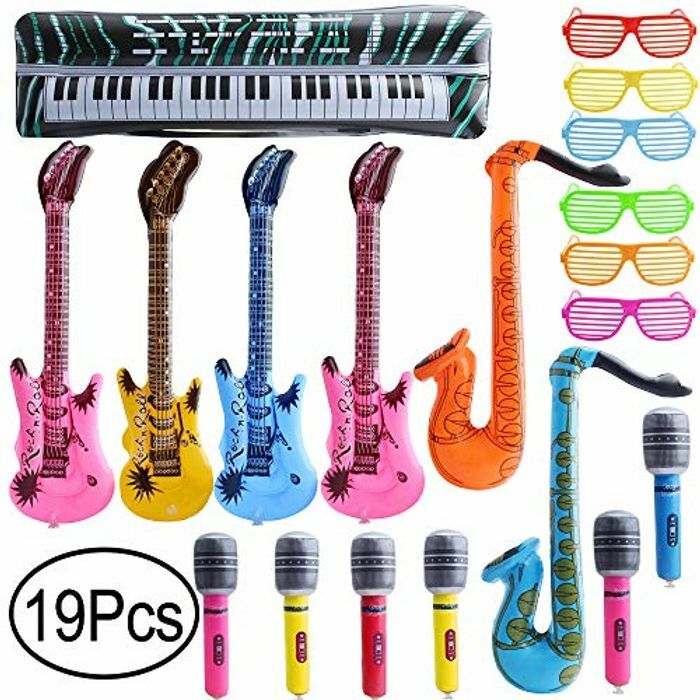 19 Pack inflatable party props, include guitar, saxophone, microphone and shading glasses, makes your party more attractive. Wonderful rock star party favors and perfect as party decorations. Kids will loved them and entertained for the party. Safe & Non toxic PVC material, safe for your kid. Easy and convenient to inflate and deflate, ideal for different themed parties especially rock star party themed.